Starting in London, Microsoft has begun taking photographs of the UK for its street-level mapping service, Streetside. Using Bing Maps, Microsoft's Streetside is set to rival Google's similar service, Street View. Digital mapping firm, Navteq is collecting imagery and location data using 360-degree cameras mounted on cars. "Street-level imagery and Bing maps were designed with security and privacy concerns in mind. Our mapping products comply with applicable laws governing the acquisition and publishing of imagery. 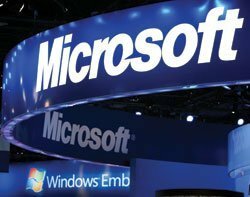 Specifically, we use automated software and advanced algorithms to detect and blur faces and license plates to protect individual privacy," said Microsoft. The Swiss Federal Administrative Court ruled on 4 April 2011 that Google must blur its Street View images of people's faces. Google admitted in 2010 that it mistakenly collected data sent over Wi-Fi networks using its Street View cars.